Location, Location, Location! "Heritage Harbor desirable gated community! 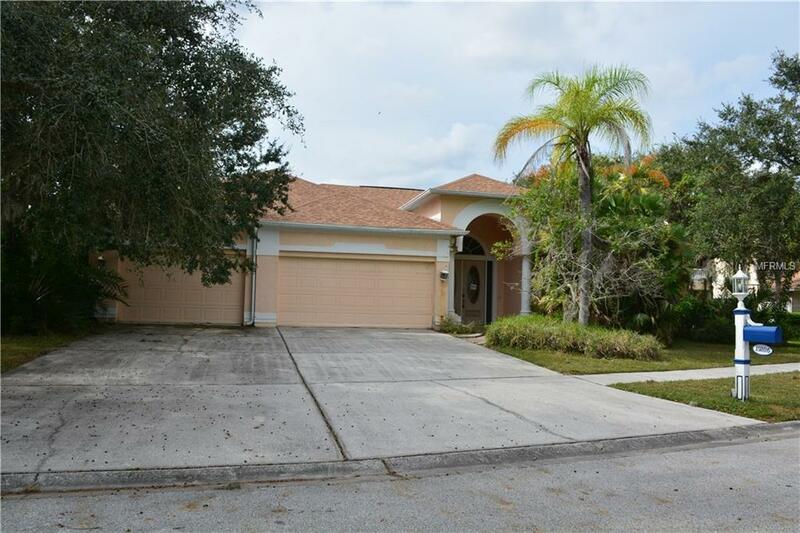 This great open floor plan is a 1 story, 4 bedrooms, 3 bathrooms, 3 car garage with private pool and spa with pond view. This home has it all, great for entertaining. Tile foyer and formal living/dining room with crown molding. Master bedroom also has crown molding and a sliding glass door to pool, huge closet, and large master bathroom with dual sinks, walk in shower and garden tub. The kitchen/family room is spacious and very open. Family room offers electric fireplace, wet bar, sliding glass doors to pool and lanai, tons of big windows and natural light. Allows for beautiful views of pool and pond. Private guest suite, pool bath with walk in shower and pedestal sink. There are two additional bedrooms off of the family room with a hall bath, dual sinks, tub and shower. Inside laundry room with wash tub. NEW ROOF INSTALLED 10/18. "A+ rated schools, Community Club house amenities: huge water slide pool, competitive lap and kiddie pool: tennis, basketball and sand volleyball courts; baseball & soccer fields; playground; outdoor rollerblade rink. Call Me and schedule your private viewing today. Listing provided courtesy of Premiere Real Estate Prof..